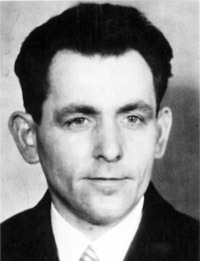 Johann Georg Elser was a carpenter from southwestern Germany and opponent of Nazism , who tried an assassination attempt on Adolf Hitler on 8 November 1939 in Munich (as well as the plan to assassinate Göring and Goebbels) all alone using a bomb. Hitler saves his life just by chance, leaving the place 20 minutes before the explosion (He was there to give a speech at Munich's Bürgerbräukeller to commemorate the anniversary of the Beer Hall Putsch, which had taken place on that very site 16 years before.). He was arrested trying to cross the border with Switzerland and then tortured by the Gestapo and brought to different concentratrion camps. 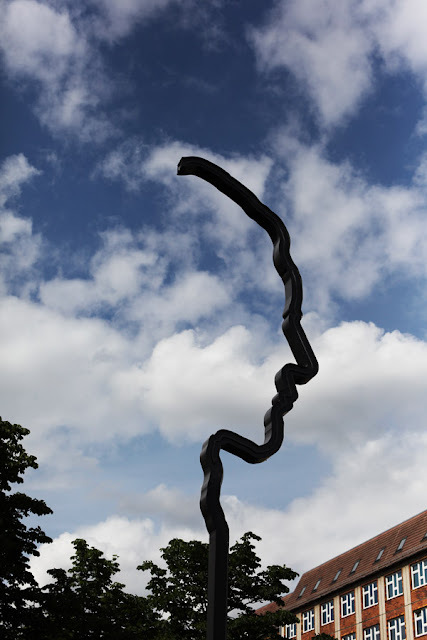 Elser was shot dead on 9 April 1945, in the Dachau, a few weeks before the end of the war. After a long and contentious discussions about historical memory, in 2011 a 17 meters high monument silouette has been inaugurated (which is illuminated by internal neon lights).